The ESA has entered into a Public Private Partnership (PPP) with ViaSat to develop key components of the ViaSat-3 satellite communications system with European industry. The $79 million PPP, known as Project AIDAN, has been kicked off with an initial $36 million, and is co-funded by ESA with the support of three of its Member States (Switzerland, the Netherlands and Romania), ViaSat and others within the European industry. This program will focus on developing and productizing two key innovative components of the ViaSat-3 satellite ground segment, which include fixed and mobile user terminals, including the development of a fully-electronic phased array for residential broadband, in-flight Wi-Fi and connected car applications, and ground segment equipment and gateways for the ViaSat-3 network, which include the Satellite Access Node (SAN) subsystems for a cloud-based ground network infrastructure. "The PPP with ViaSat will bring ESA and industry together to quickly develop broadband products that will serve the needs of millions of consumers across Europe who are currently without adequate internet service," said Magali Vaissiere, ESA Director of Telecommunications and Integrated Applications. "We believe this is a significant industrial opportunity that will keep Europe at the forefront of satellite and broadband technology development, giving Europe a leading position on the deployment of a next-generation broadband system with advanced ground networks and consumer equipment." "ESA aims to foster space innovation and promote a strong space economy. 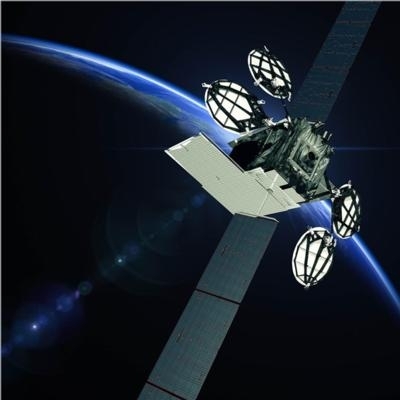 As a global company with a growing presence in Europe, we are proud to partner and tap into the space interests of ESA, the Member States and European industry," said ViaSat Chairman and CEO, Mark Dankberg. "Our new Public Private Partnership with ESA will develop and bring-to-market new satellite-based broadband technologies to ensure European citizens have access to affordable, high-quality internet services."